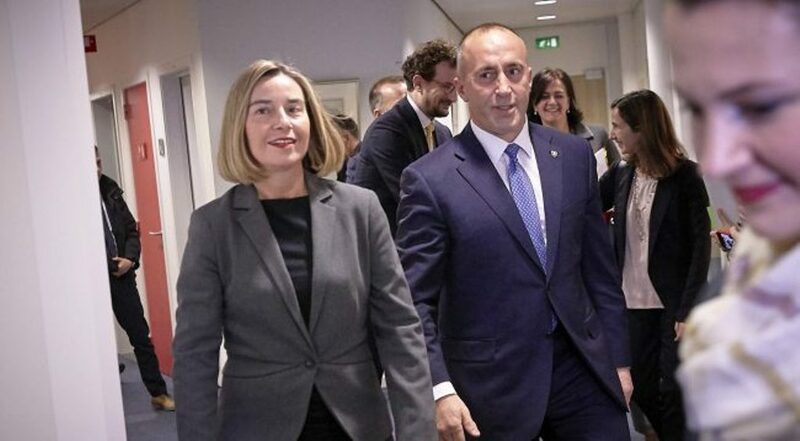 Kosovo’s Prime Minister, Ramush Haradinaj has criticized the head of EU foreign policy, Federica Mogherini over reforms stalemate. According to him, the idea of territorial swaps with Serbia has caused great damages to the country. “She diverted dialogue with ideas of territorial swaps and many cabinet ministers had to spend lots of energy in contesting such idea”, PM Haradinaj said. The head of EU foreign policy, Federica Mogherini, who brokers talks between Kosovo and Serbia, has not objected to the idea of border changes as a way to normalize relations between the two countries. However, she was against any agreement which would lead to the creation of ethnically pure states. The US has stressed in several occasions that “mutual recognition” should be at the very essence of the agreement between Kosovo and Serbia, but without offering a formula as to what this final agreement should look like.